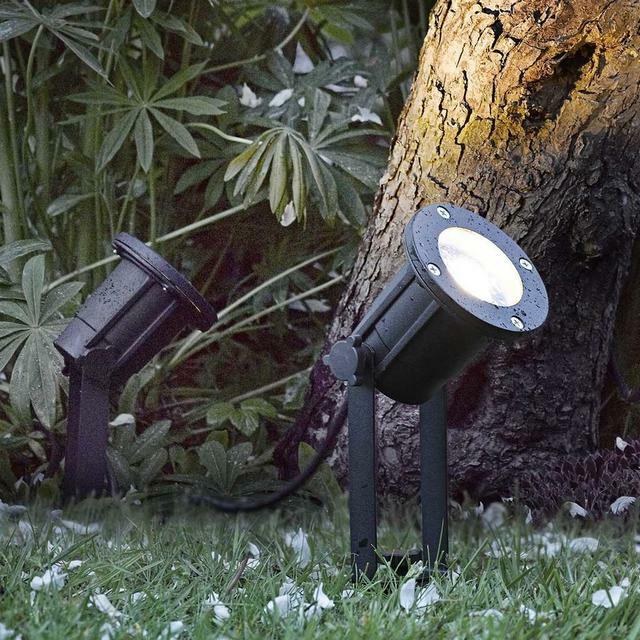 Perfect for illuminating the garden or outdoor space. The Spotlight lighting spears are available in either aluminium or with a black powder coated finish, both finishes have a plastic lens. 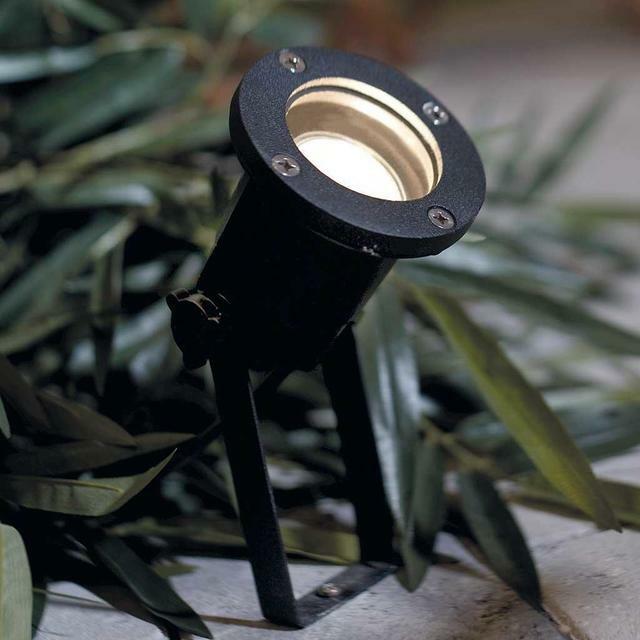 These spotlights are adjustable, allowing you to angle the light beam to where you require it. 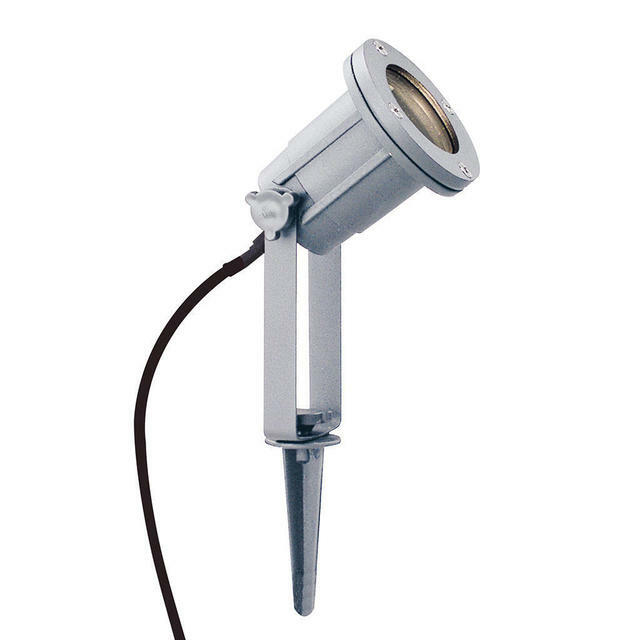 A 28W GU10 bulb is included. 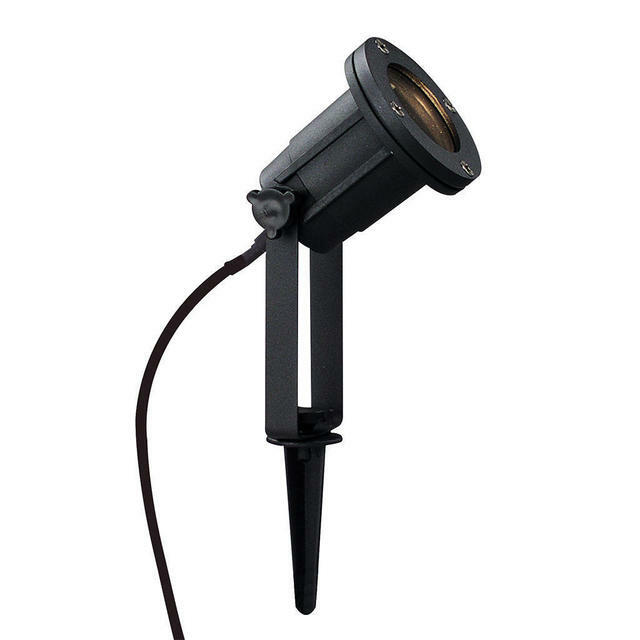 This bulb will emit 215 lumens of light and will have a life of approximately 2,000 hours. The beam of light produced with this bulb will have an angle of approximately 25 degrees. The black spotlight spear is also available with a 3W LED GU10 bulb. 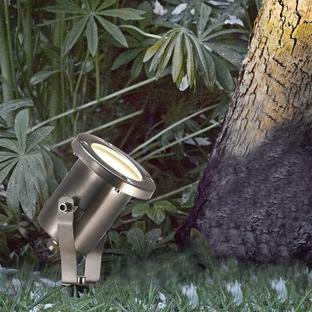 This LED bulb will emit 200 lumens of light and will have a life of approximately 25,000 hours. 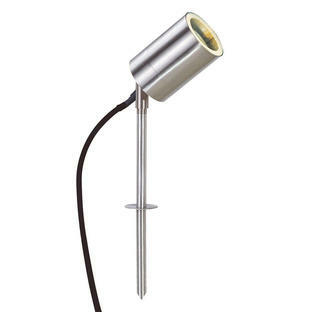 The beam of light produced with this bulb will have an angle of approximately 110 degrees. 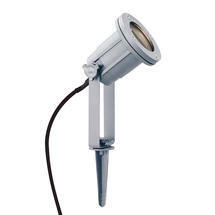 Typically, with 6 hours of use a day, you will save the extra cost for this LED version, in reduced electricity bills. Each spotlight spear comes with a 200cm cable. 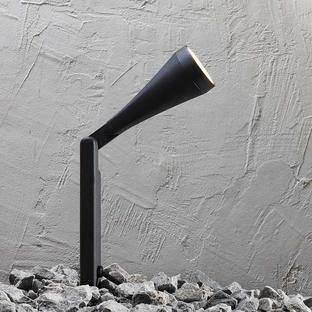 Please note it is not possible to remove the flex on this cable.